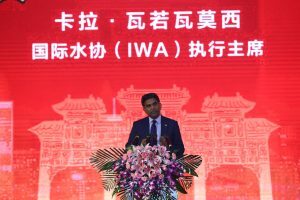 IWA was center stage in a series of events that highlighted a push for innovation in water management, following increasing demand for freshwater and evolved environmental consciousness in China. It is clear that Chinese water utilities are eager to embrace new technologies for wastewater treatment to serve the increasing freshwater demand. 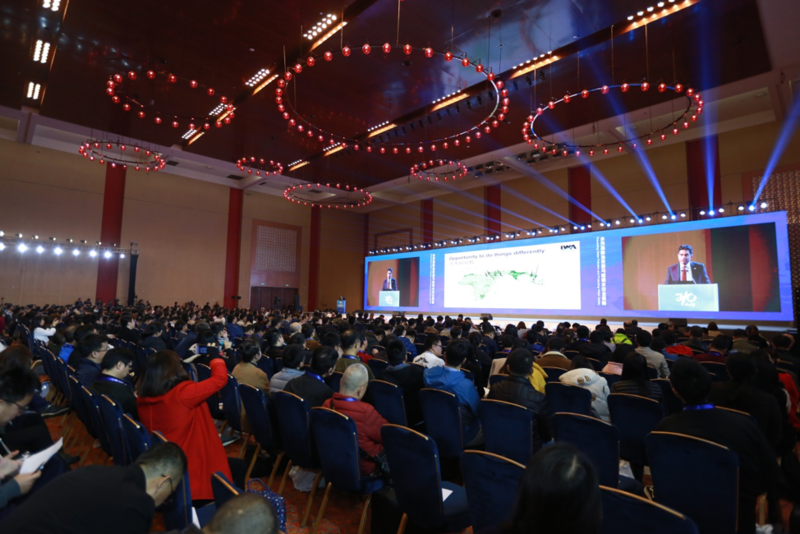 The International Water Association participated at the International Conference on China Urban Water Development and Expo of New Technologies and Facilities, held in Chongqing 29-30 November 2018. 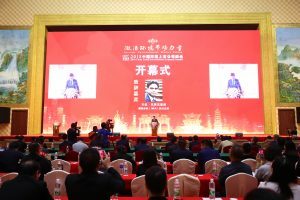 This 13th edition of the China Urban Water Conference focused on academic and technological exchange in the field of urban water and water environment comprehensive governance. 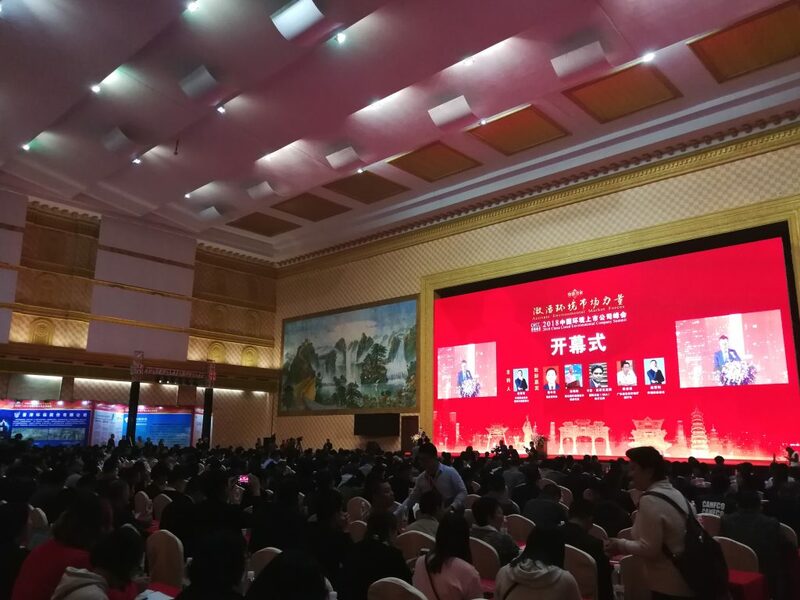 One of the largest events in the water sector in China, the Conference brought together more than 3000 delegates and 300 exhibitors under the theme “Prevention and control of water pollution and urban water security”. 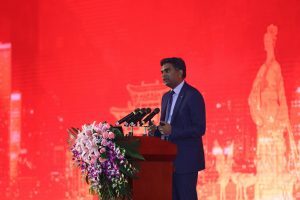 In his keynote speech at the opening, IWA Executive Director Dr. Kala Vairavamoorthy raised the attention to the current wastewater situation worldwide, as currently over 80% of the world’s wastewater – and over 95% in some least developed countries – is released to the environment without treatment. He stressed the alarming situation that with increasing global change pressures, countries around the world increasingly experience difficulties in efficiently managing scarcer and less reliable water resources.  The demand for water worldwide has increased substantially over the past decades. In China, growing prosperity comes with the challenge to provide 20% of world’s population with safe quality freshwater.  This requires advanced treatment technologies, a focus on innovation and advancing technology. With stronger policies favouring the environment, Chinese utilities and industries focus increasingly on embracing new technologies in water and wastewater management. Dr. Vairavamoorthy highlighted that the past 15 years can be seen as a pilot stage for different technologies to be experimented and tested, while the next 20 years will be the golden era for engineering in the provision of wastewater solutions. 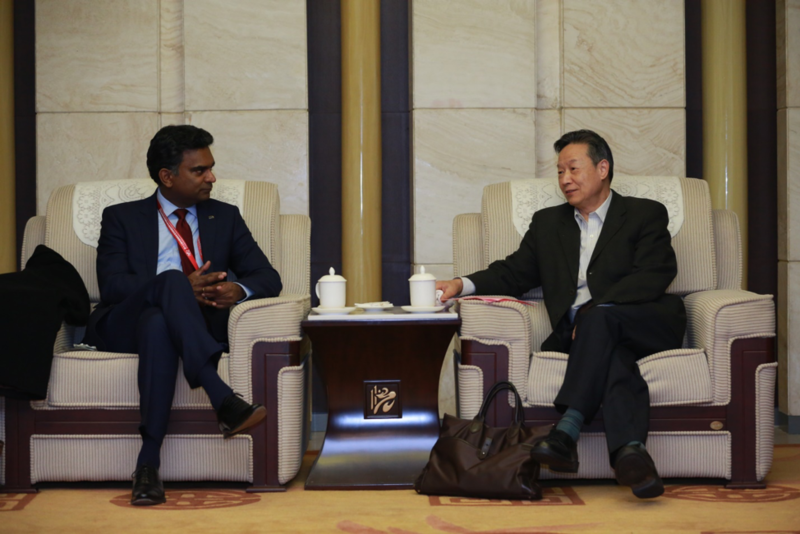 Mr. Baoxing Qiu, the Counsellor of the State Council of China, former Vice-Minister of Housing and Urban-Rural Development, expressed in his meeting with the IWA representative his high appreciation for the efforts of IWA in catalysing innovation, knowledge and best practice in China and globally. He hopes more water professionals in China can benefit from the IWA network through channels such as the IWA World Water Congress & Exhibition, and the IWA Water & Development Congress & Exhibition, learning products and opportunities of trainings and capacity development. 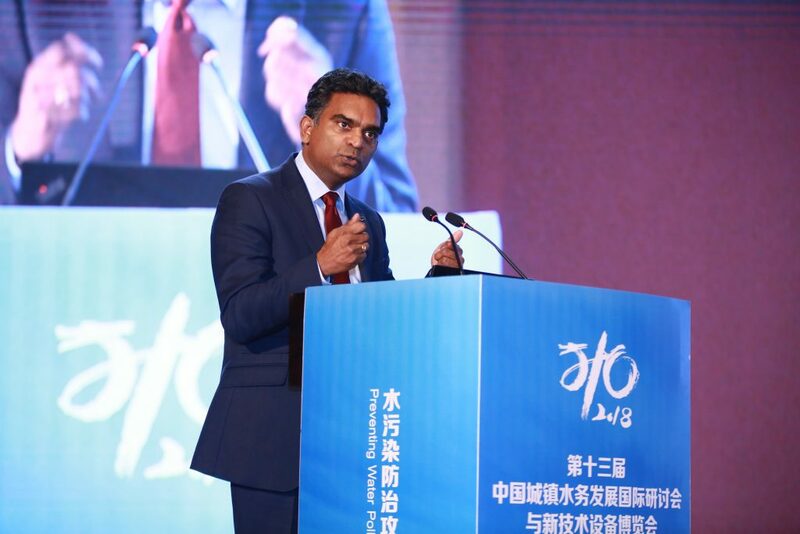 At the 2018 China Environment Listed Company Summit on 1st December in Zhaoqing, China, organised by China Environmental Chamber of Commerce, Dr. Kala Vairavamoorthy highlighted, that “traditionally, the water sector has relied, almost entirely, on left-brain skills which are geared towards logic, analysis and modelling – predominantly an engineering viewpoint, but the water sector needs leaders who combine their left-brain engineering skills, with right brain creativity and imaginative thinking”. With IWA being in a pivotal position to support the creation of these new water leaders, IWA members and the IWA Strategy 2019-2024, look forward building up synergies and joining forces to lead the promotion of research towards the invention, development, and diffusion of new technologies and services in the industry on local, national, regional and global level.